CHECK OUT this 2018 Chevrolet Silverdao 2500HD LT Z71 Crew Cab 4x4 with the strong Allison Transmission DURAMAX V8, Turbo Diesel, 6.6L to pull you through any job! This beast has the Z71 package with the more aggressive hood and front end, inside you will find black leather seats, fold down center console, touch screen interface, AM/FM SAT radio, CD Player, digital dual zone climate control, steering wheel controls, cruise control, power windows, power door locks, power mirrors and tow package! 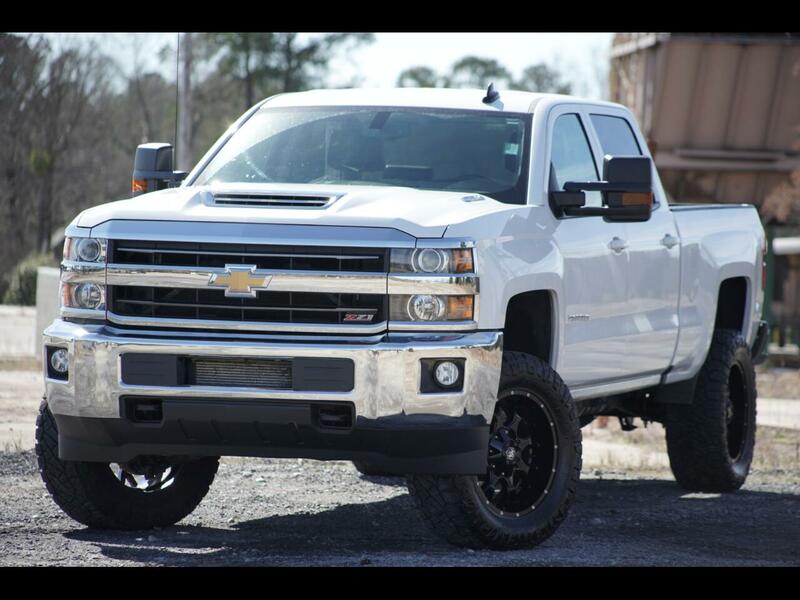 If you want to know more about this lifted Silverado or any of our other lifted trucks, please give us a call at 803-808-5235 OR stop by and take a test drive today!